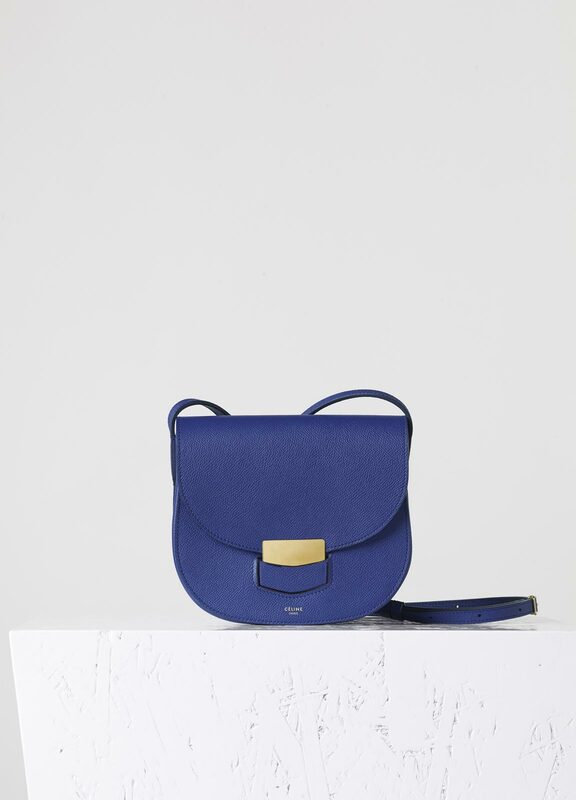 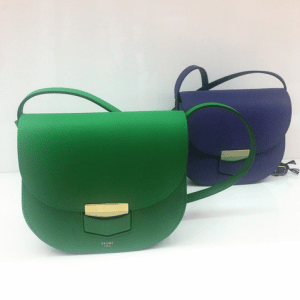 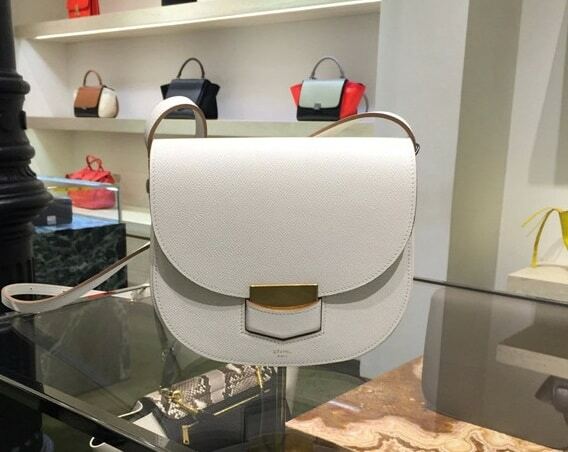 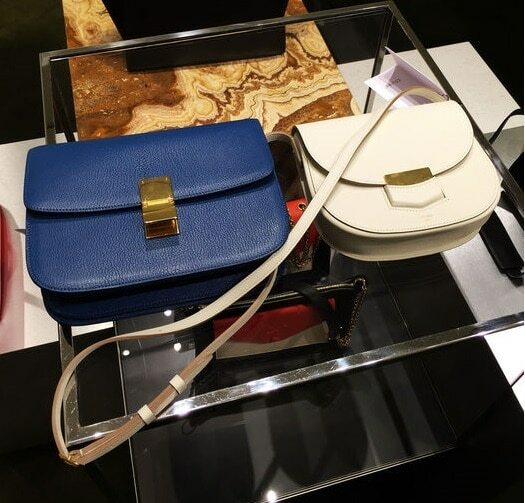 Introducing the new Celine Trotteur with Buckle Bag. 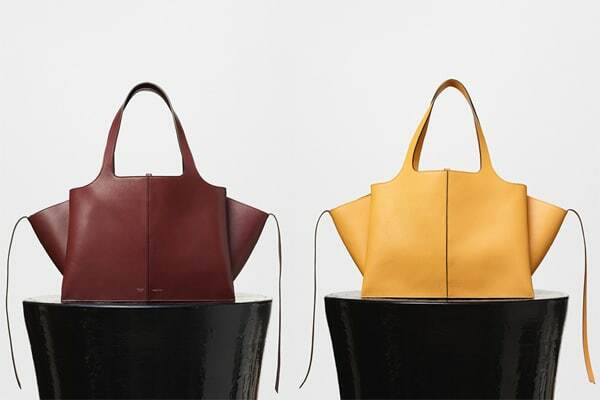 The first Trotteur Bag first came out for the brand’s Spring 2014 Collection. 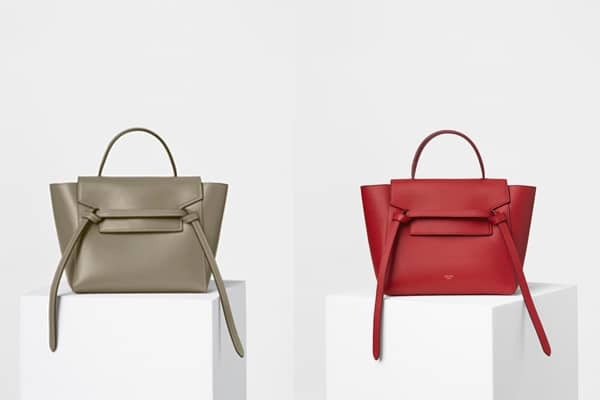 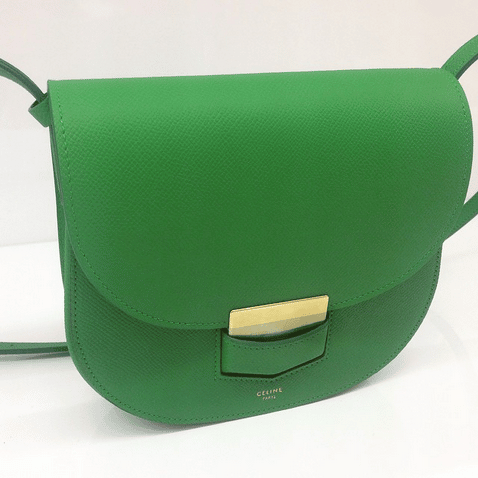 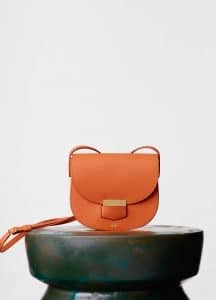 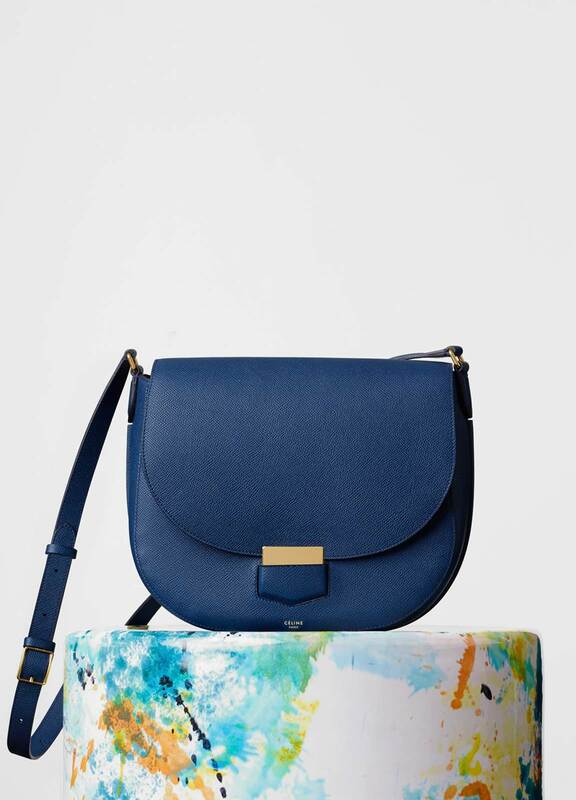 Celine has reintroduced an updated version of the Trotteur Bag for the Pre-Fall 2015 Collection and again for the Fall/Winter 2015 Collection. 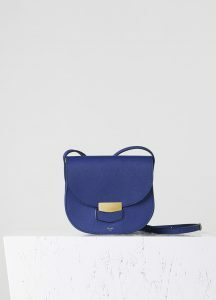 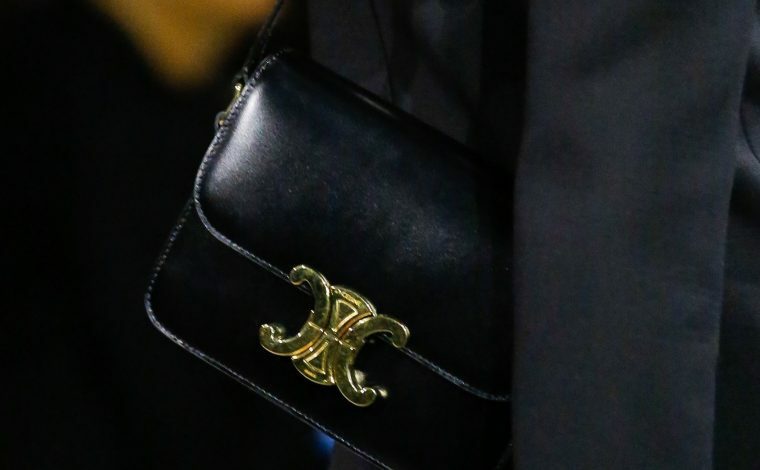 The new version features a metal buckle on the flap compared to the previous style which has a plain flap front. 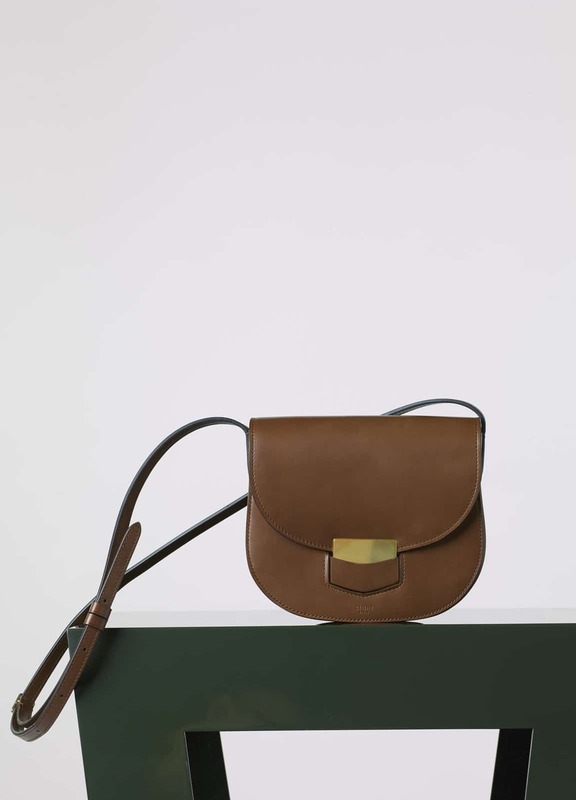 It also includes a flap pocket on the back of the bag. 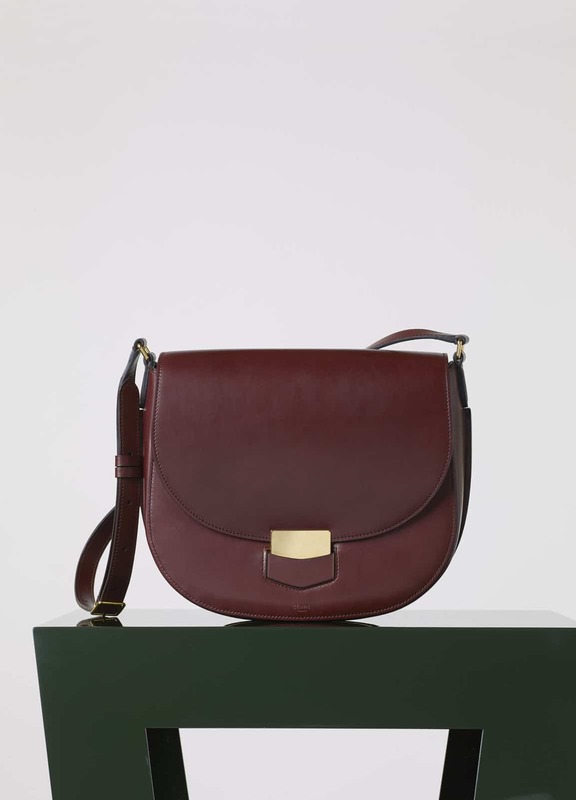 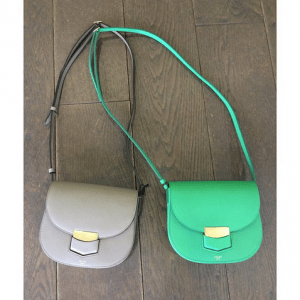 The bag still has the same rounded shape and adjustable strap allowing it to be carried on the shoulder or across the body. 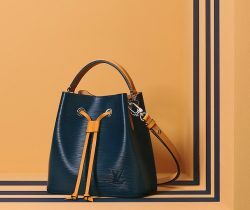 The leather on the new Trotteur features a distinct textured grain made of Calfskin. It now comes in two sizes, Small and Medium. 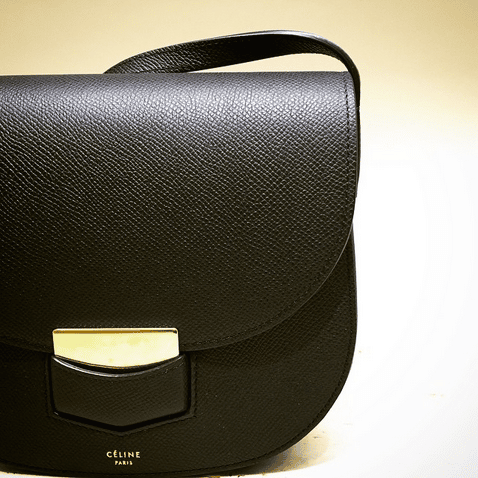 It is available in Grained and Natural Calfskin, as well as Alligator.